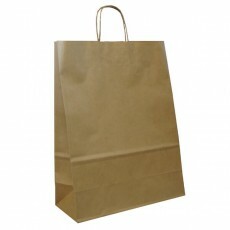 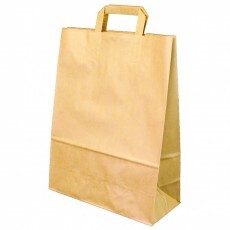 Brown paper bags: Traditional brown kraft paper bags. 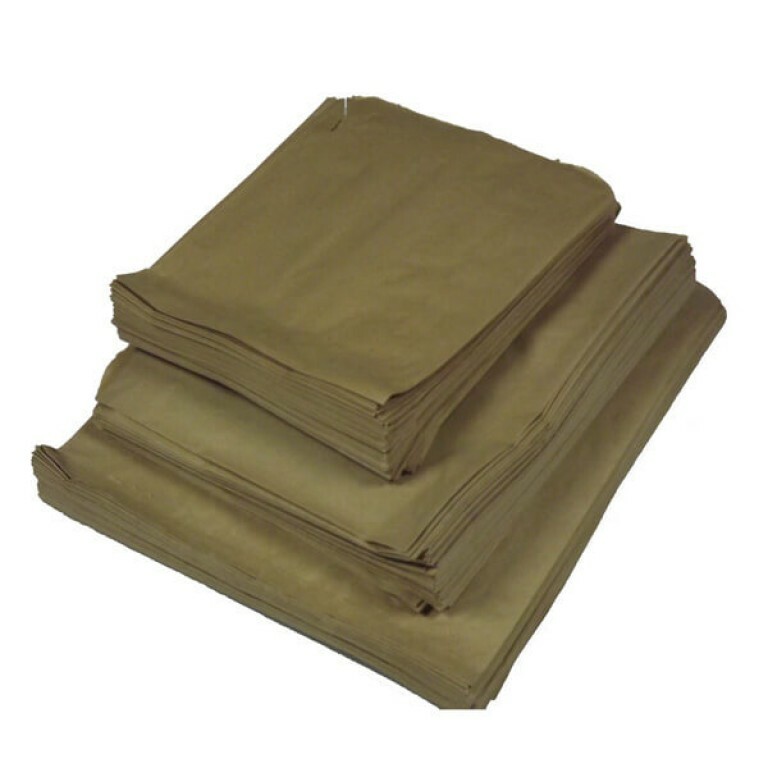 315mm x 305mm (12.5" x 12"). 37gsm. 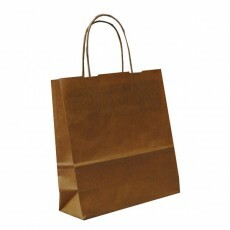 500 per box, strung together in 100s. 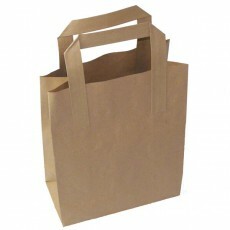 Commonly used as brown food bags, brown sandwich bags and brown grocery bags.